If you're a big reader and enjoy learning about investment strategies with hard money loans and lenders, this guide is the perfect download! 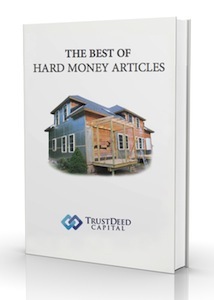 In this guide we've compiled some of this year's most viewed articles, all related to hard money loans. A variety of educational topics that will help you get funded for your next big real estate investment deal. What’s All The Hype With Trust Deeds And Hard Money?